The Geek Culture Forums! : Where is the Love? Author Topic: Where is the Love? I love safety equipment eh. Yet, you pose with chainsaws? Programmer could be a she, you never know :) Might be in luck here. Besides, what's wrong with a bit of gay love? Programmer could be a she, you never know Might be in luck here. I never said that it wasn't a she. And on the other matter, well, I'm not saying it's wrong, just that I'm not interested. 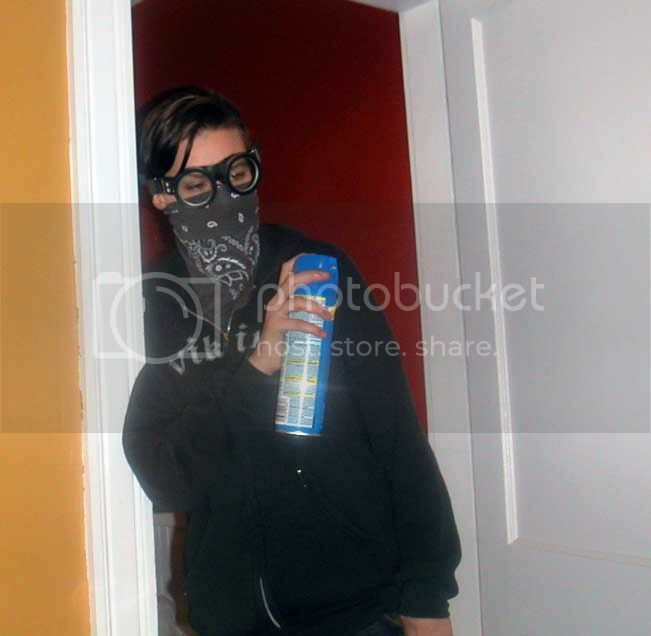 Demos, would you mind showing all those lame wannabes how to properly wear a gas mask? Sorry, the novelty of safety equipment wore off a long time ago. 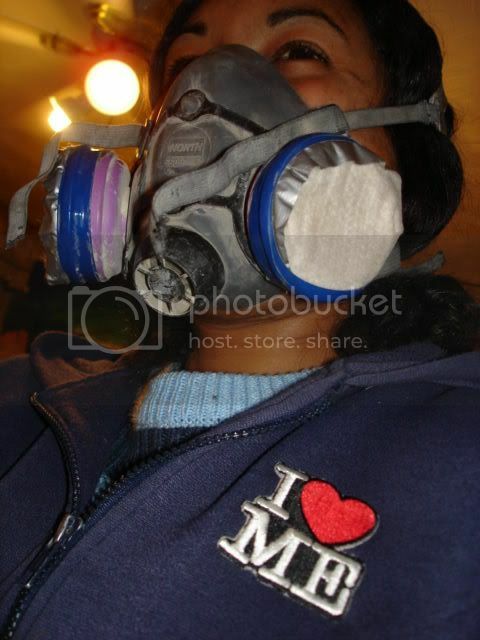 Respirators aren't terribly exciting once you've used them on the job a few times (if they ever were to begin with). However, I have to admit, the Sawstop safety system is a downright brilliant innovation. I imagine it (or something like it) will be standard on many power saws of various kinds in the course of a few decades. I'll keep my gender a secret, just to be awkward. dragonmam(whatever number), I've got my eye on you. Awww...can't I have a boring morning? Plant motifs are so out! Batman is in! My favorite was "we'll get sued by aquafresh." also, themoman could use this in his dumb music loops thread. damn. Well, I need a cold shower now. My nearly suicidal attraction to violent women doesn't cause you to bat an eyelash, but this bit scares you? Scarey, yes. Because you appear to be attracted to Demos. Of course Demosthenes is attractive! She's fun, difficult, elusive, articulate, creative, and gutsy! And she called me "cupcake"! <swoons> What more could you want? It would be a privilege to be disembowelled by her! Oh hell no! Demos can 'smoke' for me anytime. Scared of Steen, or for him? So you like safety equiptment? That's MOPP 4. Nuclear, Biological, Chemical protection suit.